A printer is an output device that prints characters, symbols and graphics on paper. The printed output is called hard copy. Printers produce permanent documents. Print resolution is commonly measured in dots per inch (dpi). A printer with higher print resolution, that is, dpi will produce higher quality print outs, but it will cost higher too. An impact printer works like a typewriter. It prints characters or images by striking a print hammer , a typeface or pins against paper and inked ribbon. We can say that impact printers do hit or impact an inked ribbon to print on a paper. Since, impact printers produce print outs by striking mechanism, they make a lot of noise, too. Print quality of impact printers is lower than print quality of non-impact printers. Printing cost or impact printers is lower than that of non-impact printers. A dot matrix printer is an impact printer. It produces printed images when tiny pins on a print head strike an inked ribbon. When the ribbon presses against the paper, it creates dots that form characters and graphics. The print head on a dot matrix printer can contain nine to twenty-four pins. 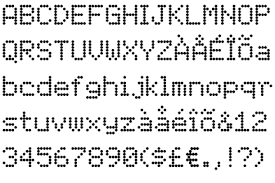 Dot matrix printers use 100 to 300 DPI(dots per inch). Their speed is from 200 to 1000 characters per minute. Dot matrix printers generate a lot of noise. They do not produce a very high quality of print. Drum printer is an impact printer. It consists of a solid and cylindrical drum. The drum has raised characters in bands on its surface. The drum rotates rapidly. For each print position, there is a print hammer to strike on ribbon and paper. The drum prints one line in one rotation. Since drum printer prints one line at a time, so it is called a line printer. Drum printer is a fast impact printer. It prints an entire line at a time. Its speed is measured in lines per minute (1pm). Many drum printers can print up to 2000 lines per minute. Daisy wheel printer is similar to a typewriter. It uses a print wheel. The print wheel is called daisy wheel. Each petal of daisy wheel contains character. A motor rotates the wheel. A hammer strikes a petal against the ribbon when the desired character reaches the position on the paper. This prints the character on the paper. Daisy wheel printer is slower than dot matrix printer but better in quality. Daisy wheel technology is now found only in some electronic typewriters.Now-a-days mostly laser printers or ink jet printers are used. A non-impact printer prints characters and graphics on a piece of paper without striking the paper. Some of these printers use spray ink while others use heat and pressure to create images. These printers are faster than impact printer. We can say that non-impact printers do not hit or impact an inked ribbon to print on a paper. Since, impact printers produce print outs by non-striking mechanism, they do not make a noise, Print quality of non-impact printers is higher than print quality of impact printers. Printing cost of non-impact printers is higher than that of impact printers. printers are also called page printers. They print complete page at a time. Laser printers produce very high quality print. They are faster than inkjet and dot matrix printers. Color printing with laser printers is Very costly. 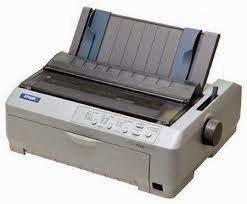 Laser printers are mostly used in business field. It is a non-impact printer. It prints text and graphics by spraying tiny drops of liquid ink on paper. These printers can produce quality text and graphics in black and white and color. Ink jet printers are slower than laser printer. They can print 1 to 6 pages per minute. Ink-jet printers are relatively inexpensive than laser printer. What are top Ten Differences between Impact and Non Impact Printers? Great post. Which kind of printer can print Metal business cards? very Informative post..Which one is best for the Plastic card printing?